Sfriso, A.O., Manzanal, D., Rocca, R.J. 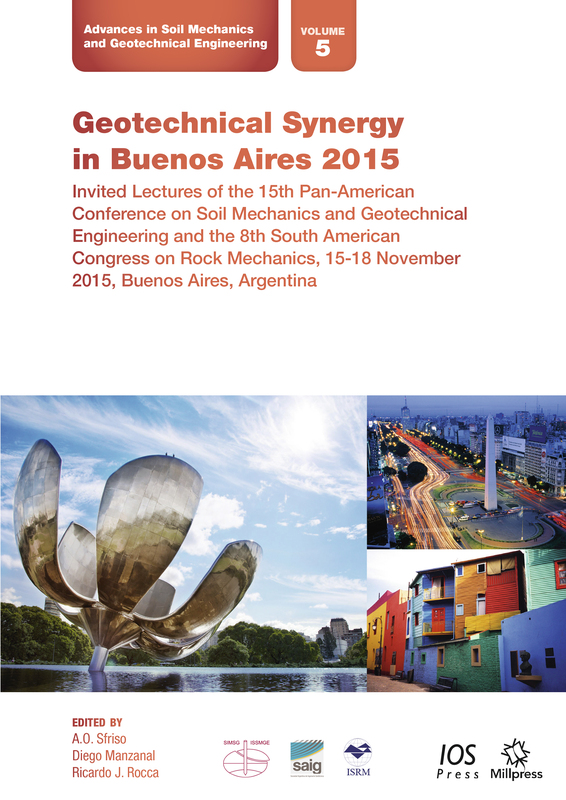 In November 2015, Buenos Aires, Argentina became the location of several important events for geo-professionals, with the simultaneous holding of the 15th Pan-American Conference on Soil Mechanics and Geotechnical Engineering (XV PCSMGE), the 8th South American Congress on Rock Mechanics (SCRM) and the 6th International Symposium on Deformation Characteristics of Geomaterials, as well as the 22nd Argentinean Congress of Geotechnical Engineering (CAMSIGXXII). This synergy brought together international experts, researchers, academics, professionals and geo-engineering companies in a unique opportunity to exchange ideas and discuss current and future practices in the areas of soil mechanics and rock mechanics, and their applications in civil, energy, environmental, and mining engineering. This book presents the invited lectures of the 15th Pan-American Conference on Soil Mechanics and Geotechnical Engineering (XV PCSMGE) and the 8th South American Congress on Rock Mechanics (SCRM). It includes the Casagrande Lecture delivered by Luis Valenzuela and 21 Plenary, Keynote and Panelist Lectures from these two Buenos Aires conferences.